April – Neville Linke - Community Transport driver, nominated by Jeanette Ryan. Neville Linke has been a Volunteer Driver with Hamilton Community Transport service for 4 Years. He is a well-respected volunteer, the clients appreciate his caring quiet manner. He has great respect and empathy for the people he transports and goes beyond to make them feel safe and nurtured. 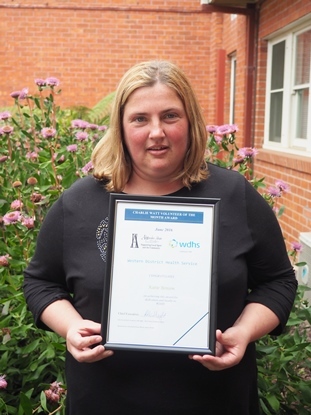 Ms Bastock-Lewis has been named South West TAFE Outstanding Vocational Student of the Year and has been quick to find work from her nursing studies with a graduate position at Western District Health Service. Nursing teacher Danielle Hobbs said Ms Bastock-Lewis had been an amazing asset to the class environment and will make a positive difference to the industry. 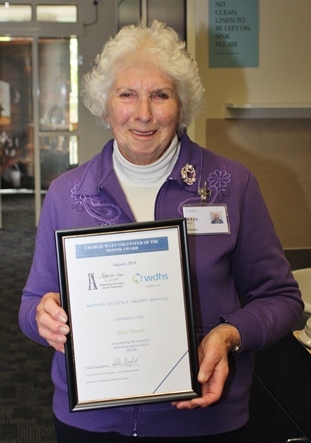 August Volunteer of the Month, Julia Hearn is a relative newcomer to volunteering at Western District Health Service (WDHS) and is making a real difference to the lives of residents at The Birches. 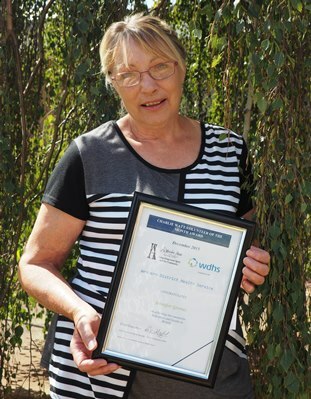 Mrs Hearn signed up as a volunteer in April last year, when WDHS commenced its Meal Buddy Program at the Birches. The ‘Meal Buddies’ give nursing home residents a helping hand to eat their breakfast, lunch and dinner. Volunteers help residents open dinner lids, position meal trays, pour tea or coffee, provide company and assist where they can while the person eats their meal. Birches Unit Manager, Eryn Cottier nominated Mrs Hearn for the award and says her commitment to the Meal Buddy Program has been amazing. “Mrs Hearn assists with the meals twice a day, three times a week and not only does she help the allocated resident but she also engages beautifully with the other residents as well,” Mrs Cottier said. 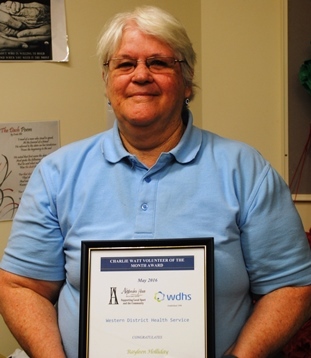 Anne Milne is the Western District Health Service (WDHS) Volunteer of the Month for July and has been volunteering on the Comforts Trolley at Hamilton Hospital for an impressive 20 years. The comforts trolley provides toiletries, magazines and snacks for patients to purchase on the wards, Monday to Friday each week. Volunteer Coordinator, Jeanette Ryan says the trolley volunteers not only provide patient necessities, but valuable interactions when they stop for a chat. “The Comforts Trolley is not only about the physical comforts, the volunteers also provide company and conversation to patients as well. Mrs Milne is one of around 10 volunteers who are rostered on the trolley and for two decades she has supported this service, which is an incredible contribution,” Ms Ryan said. 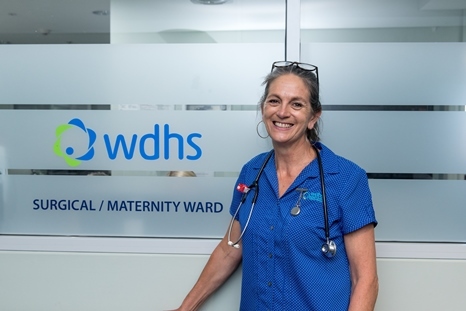 The Western District Health Service (WDHS) June Volunteer of the Month is Katie Benson, who commenced volunteering at Penshurst Hospital 10 years ago when she was just 21 years old. Ms Benson assists with Nursing Home and Hostel activities each week and has also volunteered with the Penshurst Planned Activity Group (PAG) for many years. Volunteer Coordinator, Jeanette Ryan says Ms Benson is reliable and goes about her volunteering with respect and empathy. “It has been great having Katie involved at Penshurst, she has been volunteering now for a significant period and knows all of the staff, residents and patients so well. It’s also always nice to have a range of ages in our volunteer team, as each age group connects differently with our residents,” Ms Ryan said. The Western District Health Service (WDHS) May Volunteer of the Month is Rayleen Holliday, who has volunteered for the Health Service for over 14 years. Ms Holliday pays weekly visits to the residents at the Grange, providing important companionship and community interaction. She also helps out with the Door Knock Appeal each year and prior to commencing with WDHS she also visited residents at the Grange as a Community Connections volunteer. Volunteer Coordinator, Jeanette Ryan says despite suffering ill health over a number of years, Ms Holliday has continued to be a great support and offer assistance wherever possible. “Rayleen is a reliable and loyal volunteer, who has supported the Grange Residential Care residents for many years. WDHS is very fortunate to have Rayleen and so many volunteers who have contributed to the organisation over a long period,” Ms Ryan said. Western District Health Service (WDHS) April Volunteer of the Month, Wes Walter has been a WDHS Community Transport Volunteer for over ten years. Mr Walter belongs to a very special group of kind, caring and compassionate volunteers who support clients by driving them to medical appointments, as far away as Melbourne. WDHS Volunteer Coordinator, Jeanette Ryan says Mr Walter also assists the Health Service in a range of other volunteer capacities. “Wes also volunteers as a marshall at the Vitality Fun Run, runs the BBQ at the Hospital Op Shop Golf Tournament and is a regular Hospital Appeal door knocker. Wes and his wife Ann also regularly review Health Service brochures and forms to ensure they meet the needs of consumers. He is a quiet, humble man who volunteers a great deal of his time for the Hamilton community, with little fuss or fanfare. I recently received feedback from one of our clients regarding how wonderful Wes and his wife Ann were, on a very emotional run to the Peter MacCallum Cancer Centre. We are so grateful for Wes’s continued loyalty and support of the Health Service,” Mrs Ryan said. 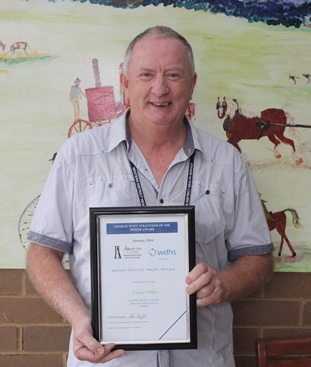 Western District Health Service (WDHS) February Volunteer of the Month, Neil Sandford started volunteering with WDHS nine years ago, supporting many areas of the Health Service. Neil currently volunteers twice a week assisting the Hotel Services team to transport recyclable materials to the waste transfer station, as part of the WDHS Onsite Waste Management Program. Neil also assists with the Penshurst Planned Activity Group (PAG) fortnightly on a Thursday and on Friday’s he delivers PAG clients home at the end of the day. He also drives the hospital Podiatrist to and from Penshurst for client appointments each week. WDHS Volunteer Coordinator, Jeanette Ryan says Neil always makes himself available to help out where he can and is an invaluable contributor to the Health Service. “Neil is amazing, when he is not already volunteering he helps out with community transport runs, barbeques at fundraising events (including the Skate Festival and Golf Tournament) and anything else we need,” Ms Ryan said. Hotel Services Coordinator, Norm Saligari says Neil is prompt, courteous and reliable and is always ready to help out. 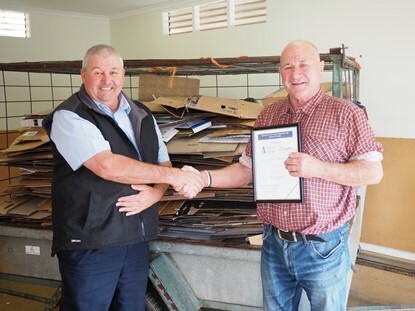 “Neil carries out his volunteering duties admirably, safely and efficiently – nothing ever seems too hard for Neil and he is a great help to our waste management team, his work in my view goes well above and beyond,” Mr Saligari said. 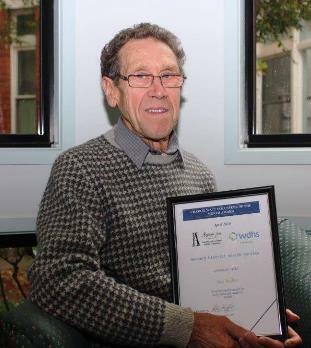 Western District Health Service (WDHS) January Volunteer of the Month, Francis ‘Frank’ Willey started volunteering with WDHS three years ago, supporting staff in the Planned Activity Group (PAG) program. Frank volunteers with PAG every Thursday and Friday doing morning client pickups, assisting with activities and delivering clients home at the end of the day. WDHS Volunteer Coordinator, Jeanette Ryan says that in addition to this, for the last two Christmases, Frank has driven the Grange bus, taking residents home to their families for Christmas lunch and then bringing them back to the Grange when they are ready to return. “This is an amazing service, as the taxis ceased running on Christmas day and this meant residents couldn’t go to their families unless someone volunteered. 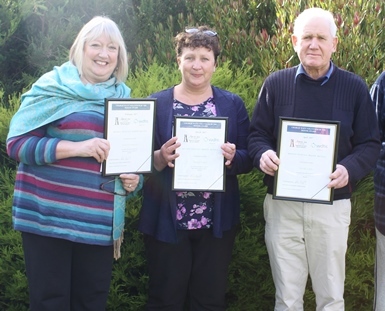 It’s these kinds of selfless acts from our volunteers that deserve to be rewarded and recognised,” Mrs Ryan said. 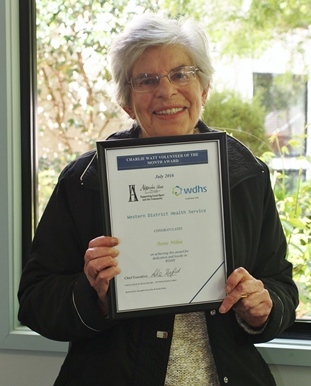 Western District Health Service (WDHS) December Volunteer of the Month, Jennifer Groves started volunteering with WDHS in 2007, supporting staff at The Birches aged care facility. Ms Groves currently volunteers with the Palliative Care team, making regular bereavement calls to carers of clients who have passed away in the last 12 months. WDHS Volunteer Coordinator, Jeanette Ryan says this is an extremely sensitive task that Ms Groves manages beautifully. “Jenny has a wonderful caring nature and follows up with carers who have had loved ones in Palliative Care with great empathy and understanding. Jenny also regularly attends our Consumer and Friends Network forums, offering great insight through her experiences at WDHS. In addition, Jenny also assists with fundraising activities and I call on her to check brochures and forms to ensure that they are clear and concise for the consumer. Jenny is an outstanding volunteer who is always willing to assist where needed and a great role model for other volunteers,” Mrs Ryan said.